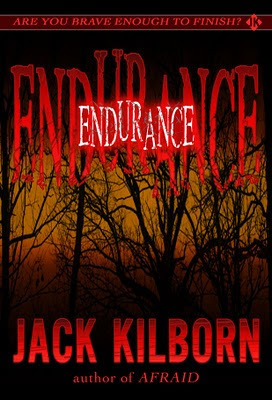 My horror ebook Endurance, written under my pen name Jack Kilborn, launched on Kindle on June 19th. Amazon is working the bugs out of their new software, so my sales numbers for the 19th aren't currently showing up. I only have sales numbers for the last 60 hours. So how have these last 60 hours been? In the last 60 hours, at the new 70% royalty rate, Endurance has earned $1346 on Kindle. 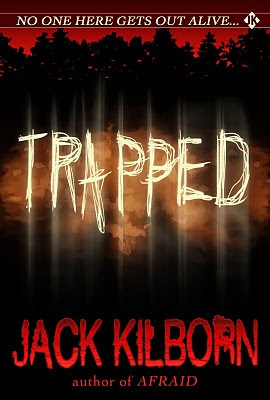 Trapped, another Kilborn novel, went live today, joining the 15 other self-published ebooks I have currently available on Amazon. In less than three days, I've earned over $2300. This is net, not gross. Money in my pocket. I certainly don't expect these numbers to stay this strong. Eventually the sales of my two new books will slow down. But my prediction from several months ago seems to be coming true. If I can sell 5000 ebooks a month (which I've already been doing without Trapped and Endurance) I'll make over $120,000 per year. Now that I've learned that readers are interested in my new titles, I can continue to write ebooks for Kindle (and other ebook readers) as a full time job. But unlike the traditional print industry, which only wanted a book a year from me and then took 18 months to publish that book, I can now release several titles per year, as soon as they're ready to go. Can every writer do the same thing I'm doing? The Internet doesn't seem to think so. Everywhere I see people talking about this, they say I'm an exception, and no one else will have this same success. As my friend Barry Eisler says, "The first-mover is, by definition, an exception." And there is a compelling school of thought about first-mover advantage. But I'm not a company, and I'm not competing for dollars. I'm not cornering the Kindle market, or preventing others from succeeding. I'm not doing this in a supply-and-demand, limited resource business model. In fact, I'm not the only self-pubbed writer in the Kindle Top 100. Others are doing the same things I am, and in some cases, doing better. People believe I'm an exception because they don't know (or don't want to hear) about others doing the same thing. I'm the only one they've heard about, so I'm a fluke. I must be. I have to be. Otherwise, it doesn't fit their preconceptions. Those with closed minds are going to keep calling me an exception, because that will make them feel better. Those with lofty dreams will try to do the same thing I'm doing, and the majority won't do nearly as well. Some may fail miserably. But some won't fail. Some will follow my example, and do even better than I'm doing. In the meantime, NY Publishing will continue to alienate both authors and customers with low royalties and high ebook prices and their dedication to print. By the end of this year, we'll see $99 ereading devices. This technology is going to take over, just like mp3 players replaced the traditional stereo. Some writers will understand this, take a shot, and make some money. Some will wait around and see what happens. Now, I certainly don't want to be responsible for a bunch of crummy writers flooding the Kindle market with crap. And I certainly don't want to take the blame if a writer voids his print contract in order to self-publish, and then sells poorly. In fact, I don't want to tell any writer what they should or shouldn't do. You need to set your own goals, learn as much as you can, and weigh the pros and cons. Don't blindly follow me, or blindly follow anyone. Don't think you can do as well as me, or as well as anyone else. You should never compare yourself to other writers. There are no easy paths to success. It's always about hard work and getting lucky. That said, I just rechecked my numbers. In the forty minutes it has taken me to write this blog post, I made $43 on Kindle. It would take a great deal of money before I ever signed a print deal again. And that liberation is easily the most wonderful feeling I've ever had in my career. For twelve years I struggled to break into print, writing nine unsold novels, garnering over 500 rejections. When I finally landed a three book deal in 2002, it was enough money for me to write full time. Since then, I've had six more publishing contracts. I'm incredibly fortunate, and the traditional publishing world has been good to me. Then this Kindle thing came along. At the request of readers, I put some of my early, unpublished books on Amazon, as well as some of my previously published short stories. And I began to make money. A decent amount of money. Last month (May 2010) I made over $4800 on Kindle. If I sell the same amount of ebooks (6800) in July, when the Kindle royalty rate goes to 70%, I'll earn $13,872. In a single month. That averages to over $160,000 a year, just on Kindle, just on my self-pubbed ebooks. It doesn't include the ebooks I've put on iTunes, or on Smashwords.com, which uploads them to Sony, Barnes & Noble, Kobo, and iPad. And this number is based on ebooks being less than 8% of the entire book market. What will happen when ebooks become 10%? 20%? 50%? Traditional publishing has been wonderful to me. I've worked with some terrific people, done a lot of interesting things, and sold a lot of books. But the times are a'changin'. And my goal has always been to make a living as a writer. That means going where the money is. So now, my alter ego Jack Kilborn is going to take the plunge into this brave new world. Of the many ebooks I've self-published, only a few have been original content specifically created for the market. My early novels (The List, Origin, Disturb, Shot of Tequila) were written prior to me landing my first book deal, and I was never able to sell them. My collaborations and short story collections (Suckers, Planter's Punch, Floaters, Jack Daniels Stories, Horror Stories, Crime Stories) were all previously published in various limited editions, magazines, and anthologies. The two things I've specifically written for Kindle: Truck Stop and SERIAL UNCUT have been performing pretty well. Better, in fact, than all of my collections and some of my novels. So I've been wondering what would happen if I self-published an original Kindle novel. Now I'm taking the plunge. In fact, I'm double-dipping. As far as I know, I'll be the first mid-list writer to self-publish ebooks on Kindle that I could otherwise sell to Big NY Publishing. Both of these novels had offered contracts by major publishers, which I passed on. In 2007, I wrote a horror novel called AFRAID under the name Jack Kilborn. I signed a two book deal with a major publisher. The second book in that deal, TRAPPED, was excerpted in the back of paperback editions of AFRAID. But after reading the final manuscript, my publisher passed on TRAPPED. Even though I wrote two different versions to try to please them. Setting both versions of TRAPPED aside, I wrote another Kilborn novel to fulfill the contract. This one was called ENDURANCE. My publisher liked it but wanted me to make some changes. Having been down that road before, I refused. A year ago, this would have devastated me. But now, I'm thrilled. We parted amicably. I'm grateful for the opportunities they gave me, and hope they continue to earn a lot of money on AFRAID. This leaves me with two complete, brand new horror novels, ready to be read by the fans who have been emailing me nonstop for over a year. TRAPPED is the most intense thing I've ever written. ENDURANCE is the most frightening thing I've ever written. These books are going to scare the hell out of people, and I know I could find a good print home for them. But that would be pretty hypocritical of me, wouldn't it? For the past year, I've been posting my Kindle numbers, stating how I can earn more money on my own than I could with a publisher. TRAPPED and ENDURANCE are now available on Amazon.com. Soon they'll be available on other ereaders, and this summer they'll also be available in print through Amazon's CreateSpace program. After years of pleading with authors not to self-publish and use Print on Demand, I'm going to self-publish and use Print on Demand. The publishing climate is vastly different than it was even a year ago. I believe the overwhelming majority of my sales will be ebooks, and I'm making print versions available for those still committed to dead trees. Once upon a time, the only way to make money as an author was if your books were on bookstore shelves. Now, print is the subsidiary right. Print is extra money, not the main money. Naturally, I'll also be releasing my other ebooks as POD versions. There is simply no reason not to. So here are the covers, links, and descriptions to my two new novels. If you liked AFRAID, or my Jack Daniels books, you'll enjoy these. My peers have read them, and think they're among my best books. And they're only $2.99 each. It was supposed to be a harmless camping trip. Six wayward teenagers who'd run into trouble with the law, and their court-appointed guardians, Sara and Martin Randhurst. Three nights on a small deserted island off of Michigan's upper peninsula. A time to bond, to learn, to heal. Then Martin told a campfire story about the island's history. Of the old civil war prison that was supposed to be there, and the starving confederate soldiers who resorted to cannibalism to stay alive. Everyone thought it was silly. They even laughed when Martin pretended to be dragged off into the woods. The group quickly began to realize that this deserted island wasn't so deserted after all. And perhaps Martin's silly story had more truth to it than anyone thought. When the event hotel for the national Iron Woman triathlon accidentally overbooked, competitor Maria was forced to stay at the Rushmore. But after checking into her room, Maria soon suspected she might not be alone. First her suitcase wasn't where she put it. Then her phone was moved. Then she heard an odd creaking under the bed. Confusion quickly turned to fear, and fear to hysteria when she discovered the front door was barred and the windows were bricked over. There was no way out. One year later, four more female athletes have become guests of the Inn. Will they escape the horrors within its walls? Or will they join the many others who have died there, in ways too terrible to imagine? So there you have it. Mid-list author who gained notoriety through self-publishing completely forsakes traditional print. Except, I haven't actually forsaken print. I've recently signed two deals. One is with a major publisher for a major amount of money. Details soon. The other is with AmazonEncore, who is publishing my new Jack Daniels novel, SHAKEN. Now I'll take some questions. Q: Which version of TRAPPED is on Kindle? The uncut first draft, or the different rewrite? A: Both of them. Though I prefer the rewrite, the original had many things I liked but was forced to cut. So, taking advantage of ebook technology, I released a "Special Edition" and include both versions for the same $2.99. That way, people can decide for themselves which one they prefer. So there are several different characters, different scenes, and different endings. If you've ever wanted to see an author's first draft, here's your chance. Q: So you're saying you chose to make these ebooks? It sounds like your publisher rejected them both. A: I had offers for both of these books. I passed. I’m self-pubbing because I’ll make more money without a publisher, not because I couldn't get a publisher. AFRAID sold 50,000 copies, and has earned around $30k. I can make that selling 15,000 copies of a Kindle title I uploaded myself. Currently, I have two self pubbed novels, The List and Origin, that have averaged 17k sold in a little over a year. TRAPPED, which is coming out this week, had a print offer from another major publisher after the first one rejected it. I turned it down. ENDURANCE was under contract. I could have made some editorial changes and had it traditionally published. I’ve made editorial changes on ALL of my traditionally published books. That’s how the biz works. The editor asks for changes. The writer makes them. That's why there are two versions of TRAPPED. But this time, the writer said “no”. And after I pulled it, I didn’t have my agent shop it around. I went straight to Kindle. That’s two bona fide print deals, me saying “no” to both. Q: ENDURANCE is currently the #44 bestseller on Kindle. Why did you release TRAPPED a few days later? A: I tried to release them both at once, but TRAPPED (ironically) got trapped in Amazon DTP, and took several extra days to publish. It will be interesting to see how TRAPPED does, because it doesn't have any of the hoopla that ENDURANCE has gotten. Q: Why are you still taking print deals if you believe ebooks are the future? A: I'd be a fool not to take the AmazonEncore deal. They're giving me a bigger promotional push than I'd ever gotten for a novel before. Plus, it will be nice to see another Jack Daniels novel in print, so fans can get a dead tree version if they prefer. As for the other, secret deal, you'll understand when I release the details. Again, I would have been foolish to turn it down. That said, I'm currently working on a new novel exclusively for Kindle, and also have several other Kindle projects in the works. Q: A lot of people are talking about you and everything you're doing with ebooks. How does that make you feel? A: It's better to be talked about than not talked about, but for me, it's always been about the writing. Ebooks are a wonderful opportunity for writers to reach readers, and I think it's cool that writers are figuring out there are alternatives to NY Publishing, which is flawed and not the easiest industry to break into. I never wanted to be the poster boy for ebooks. I'm just trying to make a living. And if other people follow my example and make a few bucks, I'm happy for them.